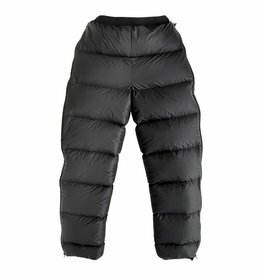 This minimally featured pant is exactly what you need for your next high altitude adventure. 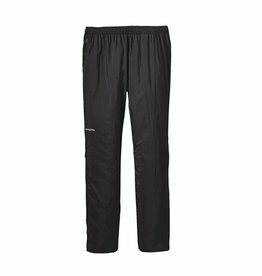 Highly compressible, lightweight, and synthetic insulation, these pants will keep your lower half warm and dry in any conditions. These down-filled pants are the warmest, lightest, and most compressible insulated pants that we carry, to keep you moving fast all over the most demanding climates on earth. 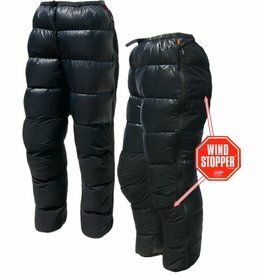 The next step in down insulated pants for the coldest conditions around! 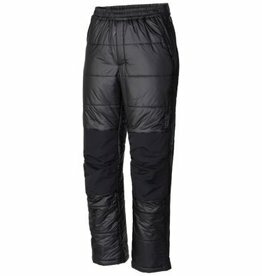 Full side zippers, wind and weather resistant outer fabric, and high quality down will ensure that these pants will keep you warm on steep slopes and all but disappear in your pack. 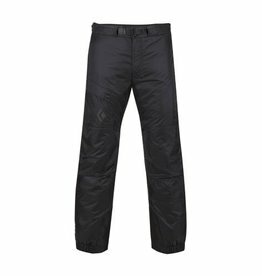 Designed with your coldest alpine, mountaineering, and ice climbing trips in mind, these pants go on easily over all your layers when the going gets truly cold, and pack compress easily when it's time to make a break for the summit. Using the same fabric and membrane as their legendary Alpha SV, Arc'teryx made a classic set of bibs with all the features, and craftsmanship you expect. 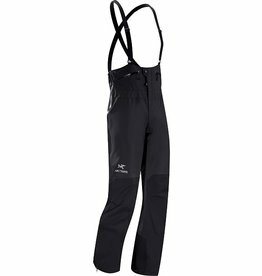 Built for skiing, but trim enough for climbing, these might be the ultimate ski mountaineering shell.